It is rightly said that AWS (Amazon Web Services) has radically changed the economics of running a web technology based company. The reliable, scalable, flexible and secure Cloud infrastructure provided by Amazon gives you excellent IT resources and are cost effective. BigStep enables you to migrate your web resources from your existing infrastructure to AWS, as well as to start up fresh on AWS. We have successfully moved many online businesses to AWS Cloud. We’re also constantly enhancing our cloud capabilities by working on cloud provisioning, automating deployment workflows and have capabilities in launching platform as a service (PaaS) systems. With BigStep, an AWS APN partner you need not own and maintain on-premise infrastructure for building solutions. Our reliable hosting service let you stay focused on core business functionalities and streamline business operations. Managed hosting platform offers everything you need to bypass time, geographical and infrastructural constraints and lift up the productivity levels smoothly. So, simplify maintenance cost, innovate faster and optimize the workflow as per business requirement. How BigStep Managed Hosting Services Simplify Business Operations? Cloud solutions have brought a paradigm shift in the way business operate and simplified the management of IT infrastructure. Enhanced security, around-the-clock support and feasibility to integrate business solutions as per need; we’ll simplify the complete IT operations and infrastructure management for you. Integrate Comprehensive Solutions & Innovate Faster with BigStep DevOps. 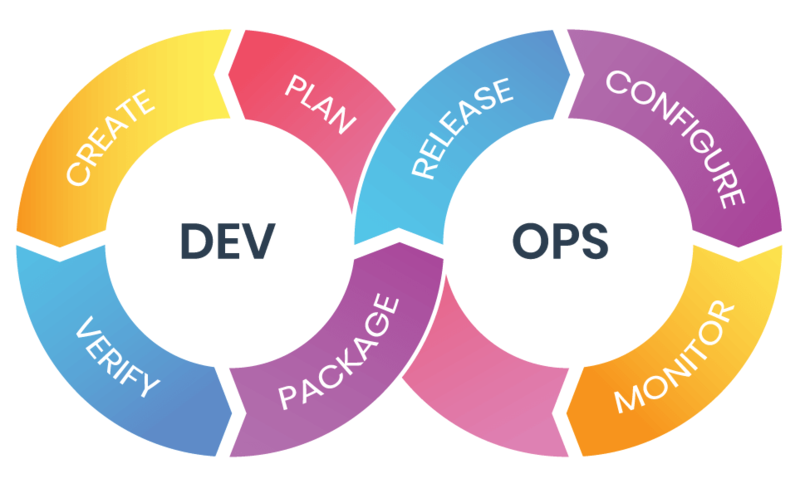 BigStep secure and stable DevOps platform simplifies the process of software deployments which ensures quick delivery of software-driven innovations and capacitates companies to accelerate the performance of software development. Our expertise in automated testing, customized infrastructure management services, continuous integration & on-time delivery enable companies to enhance software quality and achieve improved business agility. Why BigStep DevOps Consulting Services? Union with BigStep Enterprise DevOps Platform, enables infrastructure administrators, software developers, operations and quality assurance professionals collaborate early and often so, as to predict potential problems and integrate the feedback throughout the development cycle. Bridging the gap between software development, IT operations and quality assurance, act as an enabler for our clients to fasten up the speed of developing software products & services, and at the same time significantly improve operational performance.